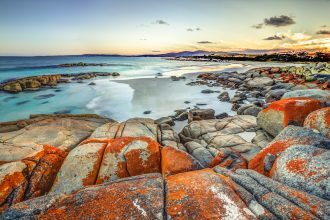 Australia’s island state, famous for its wine and cheese, as well as its beautiful landscapes is also playing host to fabulous events next month. 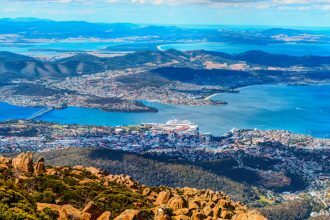 From yacht racing and food festivals to dinosaurs and tennis, Tassie has a stack of events for you to squeeze in between drinking the wine and sampling the cheese. Coming to a close on New Years Day, the famous Sydney to Hobart is a sporting spectacle with a rich history and is highly regarded as the premier yachting event on the calendar, garnering huge media attention. The exciting race draws its finish line in the Hobart Race Village, and even before the finish, the village is filled with drink and food stands as well as live music and activities. It really is an event you don’t want to miss! The Taste of Tasmania festival is celebrating its 30th year with a mysterious and captivating selection of the finest food, drink and entertainment Tasmania has to offer. Aiming to tell the ‘mythical’ story of Tasmania’s food and wine, the event will include local hidden gems and nation-wide favourites, located on Hobart’s gorgeous waterfront – an absolute foodies dream! Tasmania’s premier International women’s sporting event will take place on the 6th of January and showcase some of the world’s best female athletes. Past competitors to grace Hobart’s premier tennis destination include Serena Williams and Sam Stosur. Make sure to get down to the Domain Tennis Centre for some brilliant tennis action. The small town of Cygnet turns into a vibrant festival with various venues within the town in early January. The Cygnet Folk Festival is going into its 36th year and is Tasmania’s leading celebration of world and folk music, dance, poetry and a variety of other art forms. The event attracts musicians from all around the world and also showcases a large number of Australian and Tasmanian artists. So if folk music and good vibes sound good to you, take a trip to Cygnet! In the late 1950s just after WW2, some students from Dusseldorf Germany founded an artistic movement they coined, ‘Zero’. This movement for them was a new beginning, where they shared the ultimate goal of hosting an exhibition on the moon. Until then, the group are hosting an exhibition running from April 2018, though January 2019 and beyond, showcasing some of the groups finest artistic talent. The exhibit is partitioned into chambers, with each representing a portion of the ‘Zero’ movement. The Tasmanian Museum and Art Gallery is turning their museum into an incredible exhibition showcasing the world of dinosaurs. Any questions you may have about dinosaurs can be answered by this detailed and interactive exhibition. The exhibit features animatronics, as well as life-sized models and fossils for viewers to soak in as much dinosaur information as their heart desires. For an interesting and informative day out be sure to get down to the Tasmanian Museum. The Museum of Old and New Art is hosting an exciting festival in the northern city of Launceston, transforming the city into ‘gardens of mortal delights and divine corruption’. Featuring some huge acts, including Courtney Barnett, the festival is almost a week long, with acts starting on the 13th and really kicking off on the 18th for a weekend of non-stop festival action. The Hobart Hurricanes are playing a match north of their normal home ground at UTAS Stadium in Launceston. The Hurricanes are an incredibly talented side boasting International and Australian talent such as Ben McDermott and Jofra Archer. This quality cricket event is not one to miss if you are in Launceston in late January!